Website addresses are also known as domain names (or just domains). People are often confused with the finer details of domain names. We’re often asked what a top-level domain is, how the other levels work and who controls country code top-level domains. In this article we’ll answer all of those points. Let’s start by looking at top-level domains. Domain names break up into sections – dots separate each section. We call these sections levels. The top level is actually the last part of the domain name (the level furthest to the right, as you read it). So, taking our own domain name as an example, .ae is the top-level domain. This is often called the domain extension. There are actually two types of top-level domains – generic and country code. Generic top-level domains aren’t linked to any specific country. Businesses anywhere in the world can buy a generic top-level domain. Some popular examples include .com, .net and .biz. Country code top-level domains (ccTLDs) each relate to an individual country. The UAE’s ccTLD is .ae. We’ll look at who controls ccTLDs later in this article. A second-level domain is the next level down. Looking at our own domain name again, ‘tasjeel’ is the second-level domain. This is the part of your website’s address that you have most control over. It’s best to choose something unique and memorable. Ideally, domains should have something to do with your business’ own name, or your sector and business activities. There’s also a different type of second-level domain, known as a country code second-level domain. .ae is the country code top-level domain for the UAE. But this is sometimes broken down by adding a country code second-level domain, such as .org, .gov or .ac. So, a UAE charity could use a domain name like example.org.ae. You’ll notice that the choice tells us more about the type of entity that owns the website. In the past, most UAE businesses registered domains that ended .co.ae. .co is an abbreviation for company, which made it clear that this was a business’ website. Today, this style faces disapproval and restriction. 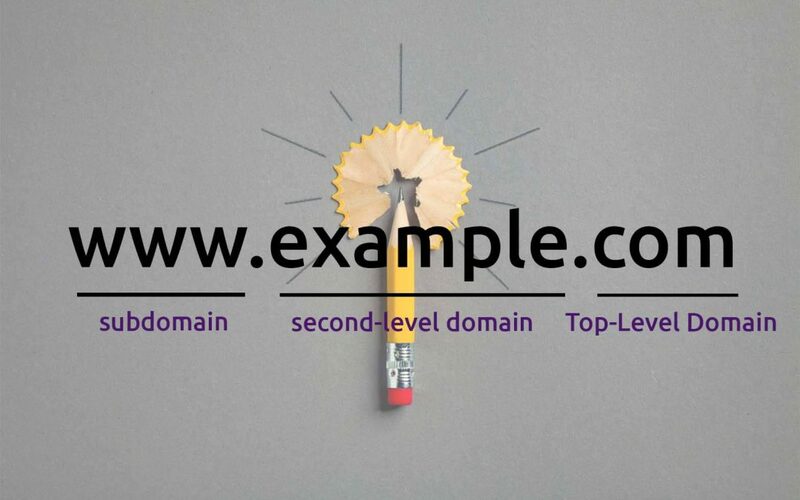 Most businesses prefer the simpler .ae domain extension. All the way back in 1985, the Internet Assigned Numbers Authority started setting up unique ccTLDs for different countries. Each country then established a regulatory body to manage policies related to its ccTLD, and to control the registrations of new domains using that extension. The .aeDA is the official regulator of the UAE’s ccTLD – .ae. The .aeDA is part of the Telecommunications Regulatory Authority. Since its foundation back in 2007, the .aeDA has been successful in promoting the adoption of the .ae extension. The cost of buying a .ae domain name has also fallen significantly during that time. Some ccTLDs have restrictions. In this case, a business must show a strong link to the country in question in order to register a domain. Some regulators only accept registrations from companies actually based in their country. Luckily, the .ae ccTLD is less restricted, meaning businesses from outside the UAE can register .ae domains. Some restrictions apply when registering a domain under the UAE’s country code second-level domains. For example, an academic institution could buy a domain such as ‘example.ac.ae’, but none academic institutions could not. But as we saw earlier, most people now prefer the shorter .ae domain extension. Not only is the registration process easier, but simpler domain names look ‘cleaner’ and are often more appealing to internet users. Who Can Sell .ae Top-Level Domain Names? Only .aeDA accredited registrars can sell .ae top-level domains. The .aeDA carefully oversees the accredited registrars, ensuring that they work to a high standard. As of March 2019, there are only 22 accredited registrars in the whole of the UAE – tasjeel.ae is one of them. Learn more about domain name registrars. It’s best to ensure that the registrar you choose also sells other top-level domains. It’s true that .ae domains are usually the best choice for businesses focused on the UAE. But if you choose to expand in the future, then registering a .com address could help take your business global! Add-on services like website hosting are also extremely valuable. After registering a domain name, setting up your hosting package will probably be your next step. Working with a domain name registrar that offers both services could make your life simpler.